We are Conveniently Located In Lynnwood, Also Provides Cosmetic Services To Everett, Marysville, Redmond, Shoreline, Bothell, Edmonds, And All Neighboring Communities. One of the first things you were able to do as an infant was smile. An asset that is often overlooked and taken for granted, your smile is one of the most defining elements of your personality. Of course, when you smile you show your teeth and nice white teeth can only improve that asset. Teeth whitening is a very simple and common procedure that can be done at home on a regular basis or by a professional in the dental office. Your choice or you can do both. Let’s first explore why teeth whitening even becomes a consideration. 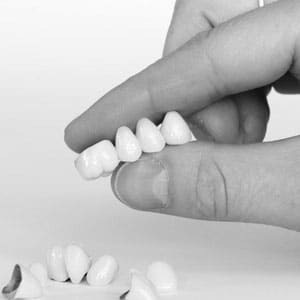 Your teeth turning a darker shade of white could have started in your childhood if you took some prescribed antibiotics that darkened your dentin, which is the surface underneath your enamel. Most often it is the result of your current eating and drinking habits. If you use any tobacco products they will stain your teeth. If you enjoy drinking your coffee in the morning or a glass of red wine at night these two beverages will enhance the staining of your teeth. A bottle of cola or a cup of tea can accelerate staining. Also, if you enjoy concentrated citrus, darker foods or darker berries you will lose that white look. So if you go through the teeth whitening efforts, either at home or in a dental office, the whitening will not be a permanent solution due to your personal habits. Teeth whitening is really something to schedule on a regular basis to maintain the desired shade of white that you are striving for. 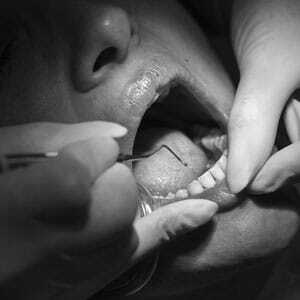 For a few days after your treatment you may experience sensitivity with your teeth. Your dentist will recommend you reduce your amount of coffee, tea, red wine, cola, citrus, tomatoes and dark berries for a while to allow the tooth whitening to set up. They might recommend you monitor these items moving forward in your regular diet. Of course, the health industries all agree that you should be brushing your teeth at least twice a day. This small good habit removes damaging bacteria that sticks to your teeth and forms plaque which can turn into tartar. Both are bad for your teeth. They also would like you to floss at least once a day to get between your teeth where your toothbrush can’t reach. Regular visits to the dentist for evaluations, checkups, teeth cleaning and x-rays will monitor the condition of your teeth whitening. Call our Office at (425) 742-9609 Today! For at home teeth whitening you will immediately find out that there are many products on the market that claim that they will whiten your teeth. These include toothpastes, whitening strips and even mouth washes. The American Dental Association states that there is really only one effective method of achieving successful teeth whitening, products with bleach. The bleach is a form of hydrogen peroxide. Over the counter products limit the concentration to around 10% bleach. A dentist is able to get products that have 25% to 40% hydrogen peroxide. Some of these products are not available over the counter. You could spend a lot of time at home attempting to whiten your teeth with very little or no positive results. Ideally it would be best to work with your dentist. You can see quickly with the products that a professional is able to use that the results will come much quicker. A brief consultation between yourself and the dentist will determine the shade of white that you will be attempting to reach. 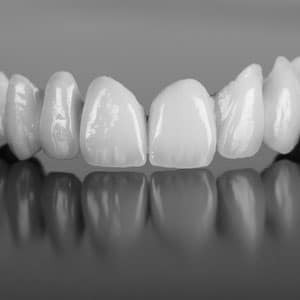 The dentist will determine if the staining is on the enamel or if it is with the dentin. These factors will contribute to your results. 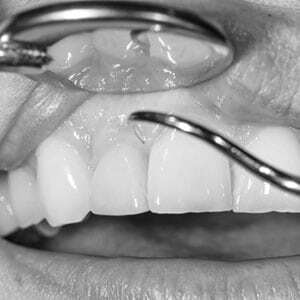 The dentist will also evaluate the condition and health of your gums prior to any teeth whitening application. Often they will administer a gel on the gum line to protect your gums from the bleaching agent. 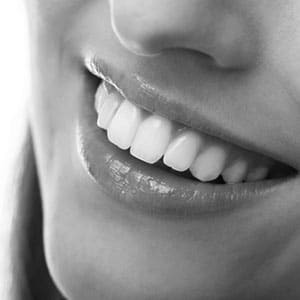 A simple test can determine the correct and appropriate product to use to potentially minimize any sensitivity that often follows teeth whitening. 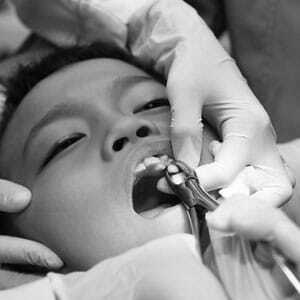 Some patients have experienced sensitive teeth, gums and an overall tingling in their mouth. All of this can be controlled and monitored by the dental office. On an occasion your dentist may want to introduce a bright light or laser type light to accelerate the whitening process. In any event, most over the counter products claim results in two to four weeks. 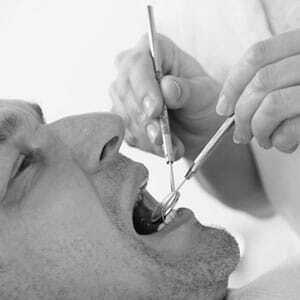 Your dental professional can achieve better results in often time’s one visit. Or, if the staining is quite severe, up to three visits. The first question usually is always should I attempt this at home or let my dentist do the teeth whitening. As mentioned earlier, we would recommend your dentist be involved. Often times you can combine both treatments. 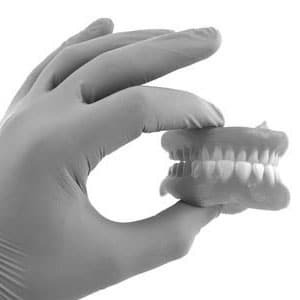 Your dentist may have a take home kit. This will give you a better product with quicker results that your dentist can supervise. You may ask about noticing the results. You will see immediate results leaving the dental office. You may not notice the slow transition when conducting the treatment at home. A question asked with a tough answer is that of the potential of sensitivity after the process. If you know that you already have sensitive teeth then one can assume that will be a contributing factor to enhanced sensitivity with the whitening process. This is one very good reason to consider letting your dentist be involved with the process. Another very subjective question is the regularity of teeth whitening. This answer is based on the original condition of your teeth, the amount of staining and the diet you subject your teeth to. You could consider scheduling a dental visit twice a year for that exam, teeth cleaning and then a teeth whitening touch up to maintain the shade of white that is desirable. Don’t forget, this is all about an asset that you possess and need you use more often, that is your smile. Take care of that smile!